Two big arms-related issues dominated public debate in Canada in 2018. The first was the tumultuous passage of Bill C-47, which seeks to bring Canadian military export policy into alignment with the international Arms Trade Treaty (ATT). 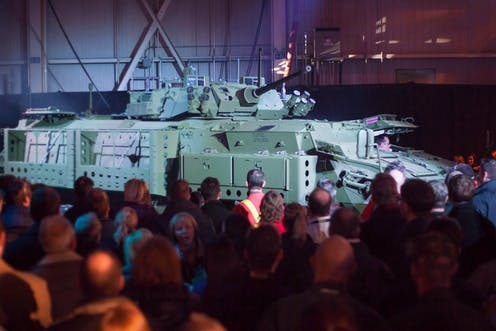 The second was the escalating series of revelations linked to Canada’s $15-billion arms deal to provide light armoured vehicles (LAVs) to Saudi Arabia, the state leading the catastrophic war in Yemen. 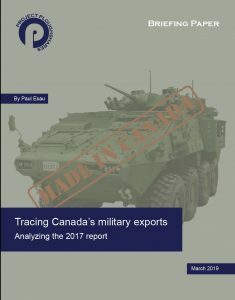 By contrast, the release of Global Affair Canada’s (GAC) Report on the Export of Military Goods from Canada—2017 on June 8 barely generated a ripple, despite providing the most authoritative and comprehensive account of Canadian military exports on record. In 1990, the government of Canada committed to publishing an annual report on Canadian military exports and their countries of destination. Although this commitment has been reinterpreted over the years, the ongoing publication of this report remains a core component of the government’s commitment of transparency to the Canadian public and international community, as well as a means to monitor potential diversion, illicit trafficking, and misuse of Canadian military goods. Each annual report compiles information on the export permits that Canadian military producers are required to obtain before exporting items on the Export Control List (ECL). Canadian military exports to the United States, which are an estimated 60 per cent of total military exports, are largely exempted from these requirements under the 1956 Defence Production Sharing Agreement. The exports report indicates how well the government’s stated policy on arms exports aligns with the actual practices of granting permits to Canadian companies and shipping military goods from Canadian factories. A historic surge in Canadian military exports, buoyed by transfers of military equipment to Saudi Arabia. In the period 2012-2017, Canada exported a greater value of military goods than in any comparable period since Project Ploughshares began to keep records in 1978. The export of military goods valued at $497,494,143 to Saudi Arabia in 2017. This is the largest reported single-year military transfer since 1978. A continuing trend of exporting military goods to countries either engaged in conflict or in serious violation of human-rights obligations. Ongoing and significant discrepancies between the reporting of Canadian military exports by destination and by ECL categorization. Continued omission of information on exports to the United States, although such information is required under the terms of the Arms Trade Treaty. Improvements in the transparency and accuracy of reporting.